Recently, I had the pleasure of presenting a webinar entitled “6 Ways to Grow Your Business Through Blogging” for SCORE Association, a nonprofit focused on supporting small business owners. 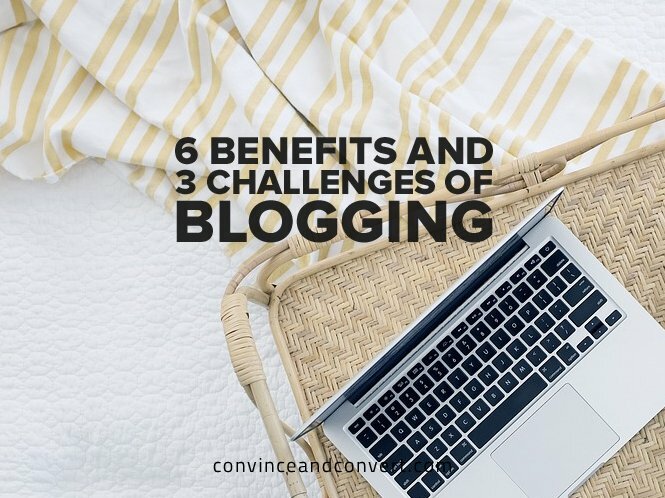 In it, I covered six case studies showcasing ways that blogging can strengthen your business as a showcase of your expertise and a community-building forum. While this particular session was aimed at small businesses, the lessons apply to businesses of all sizes. Following the webinar, I got a ton of interesting follow-up questions and feedback from attendees, and today I’d like to explore some of the major themes that I saw. Take a look at this blog post from Jay Baer on composing awesome blog posts as a starting guide, and then get writing. Whether you write on your own website or on a third-party platform like LinkedIn or Medium, the goal of blogging is to create content that provides value to your audience and bolsters your brand in their eyes. As all good Planeteers know, several powers are better than just one. 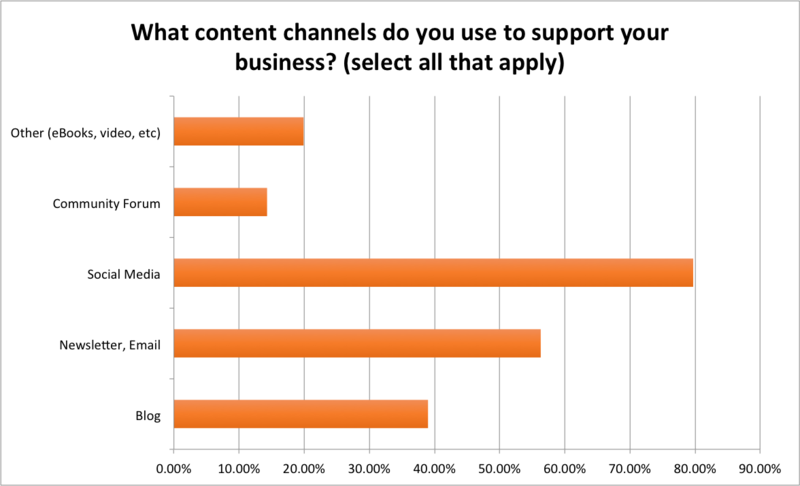 With that in mind, it was great to see that many of the attendees were already engaging with their audience using multiple channels. While I got a ton of interesting questions during the live webinar and was able to answer some of them during the 75-minute session, there wasn’t enough time to answer all of the questions. Here are three questions that I think are worth exploring, with the caveat that the answers to each will depend largely on your company’s specific goals, audiences, and resources. 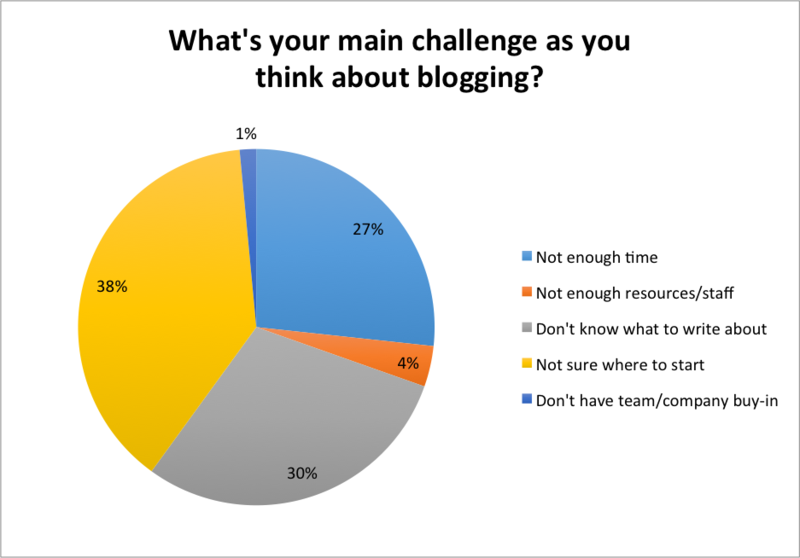 “When starting a blog, should we pick one of these focuses? Or can we have a combination of community building and thought leaders?” – Andrea S.
In the webinar, I talk about six ways that a blog can grow your business: to serve as a content hub, to showcase thought leadership, to provide a platform for digital events, to support customers, to create connections within your community, and to develop SEO. For most businesses, a combination of these types of blog posts will make the most sense. The key is to be open to experimenting with content types and to measure results on an ongoing basis so that you can learn what resonates, what converts, and what doesn’t. “Do you think blogging is a great tool to acquire new leads?” – Claudio B. For B2B businesses, blogging can be a way to showcase expertise and drive readers into the sales funnel. For B2C businesses, blogging can showcase products that drive sales. In both cases, the key is to anticipate the customers’ needs and the reasons they’re reading the content. For instance, a cake shop might blog about the design process and creativity that goes into its wedding or special occasion cakes. It might then have a call-to-action to book a free consultation to design a cake for the reader. Readers of the blog may want to (a) get inspiration for their own cakes, (b) gain trust in the bakery’s quality and expertise, (c) find out more about how customization works. If the blog post helps to fulfill these needs, they should be more likely to contact the bakery—and the bakery should help to ensure they do so by making a call-to-action available directly within the blog post. The bakery could include a contact form, a click-to-email link, or even a click-to-call or live-chat button. “How often should I post a blog? What’s the ideal length of a blog?” – Angel G.
You need to post regularly to your blog (at the very minimum every 30 days) in order to keep it engaging for your audience, but the exact frequency will depend on your content, your readers, and your resources. Write a variety of types (essays, photo slideshows, lists, etc.) and lengths of blog posts, so that you can create content on a regular basis without necessarily always having to write longer-form, in-depth content. This will not only keep your editorial calendar filled, but it will also make your writing process less stressful. Finally, look to write “evergreen” blog posts, those that are relevant no matter when they were written, so that your blog’s content is useful to new readers and those who are coming from search. While blogs have traditionally been organized in reverse-chronological order, more and more businesses are organizing their blogs by category or popularity to help readers find the best and most relevant content for their needs.